A 41 year-old Vice President of M. W. Powell and Company was working as a foreman in his family’s roofing business when he attempted to pick up what he thought was debris. The “debris,” however, was an unsecured cover for a hole in the roof. Not seeing the hole, the foreman stepped into it and fell to the floor below, fracturing his heel. Attorney Michelle Kohut represented him in the $2 million settlement. 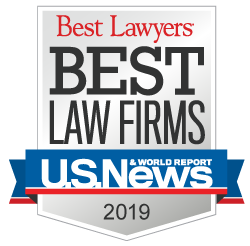 A $2 million settlement secured by Corboy & Demetrio for a roofer who fractured his heel while working on a construction site was featured in the Chicago Daily Law Bulletin.